Assemble a well-balanced PC, without wasting money and that offers a good performance is today a rather complicated task. In fact, given the large current supply of components it may become a real challenge. This reaches still higher difficulty levels when, to top it off, we have a really tight budget and want to assemble a machine that allows us to play with guarantees. To help you in this complicated task, we have decided to make this first guide, where we will choose the best components available currently on the market to mount a PC which is capable of run all present and future games with the highest levels of quality with 1080p resolutions at a cost of about 500 dollars. Obviously before choosing the components of a PC we have to ask ourselves what will be its use, something that will mostly certainly affect three elements: processor, RAM and graphics card. In this guide we focus, as mentioned above, on a PC to play with a 500 dollars budget. 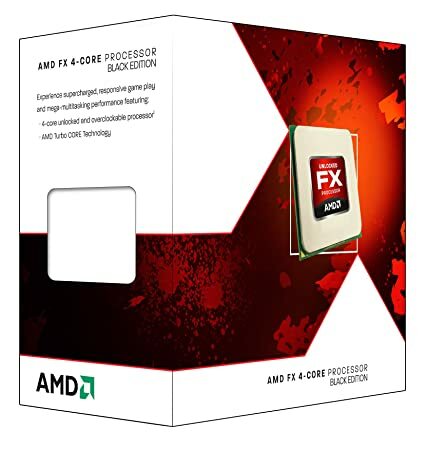 1-Processor: AMD FX-6300 FX-Series FD6300WMHKBOX, price $116. It is the centerpiece of the machine and one of the elements that you have to choose more carefully. It depends on not only the choice of one or another platform, Intel or AMD, but also the Socket and therefore the possibilities of future update. Today two coresi, without L3 cache processor, with weak performance of clock cycle or a low frequencies will be a serious bottleneck for the majority of mid-range graphics cards. With that in mind, and taking into account our limited budget, in this section the best we opted for the AMD FX-6300 FX-Series, equipped with four physical cores at 3.5 GHz and 8 MB of L3 cache. His performance in games is really good and its unlocked multiplier allows us to reach 4.1 GHz . 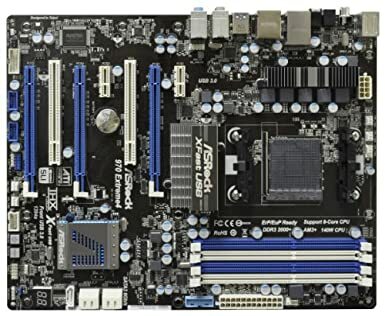 Its price has gone up and now it is a bit harder to find it for less than 110 dollars, but it is still the best choice within the range of CPUs of around 100 dollars..
2-MOTHERBOARD: ASRock 970 Extreme4 AM3 +, price $99. The motherboard is an element that many times is greatly neglected in the choice of components, especially with very tight budgets, something that just greatly limiting the possibilities of the equipment. The system depends on this capability of expanding and can even affect the performance of the components that you install, influencing also in positive or negative way in its working life. For example a motherboard with low quality capacitors can “die” or give problems sooner than expected, making ultimately that the cheap ends up being expensive. At the same time, a low-end motherboard will limit our possibilities of overclock, not have SATA III ports or USB 3.0 or give us the possibility of using more than one GPU graphics configurations, i.e. does not support SLI or CrossFireX. With all this in mind the ASRock 970 Extreme 4 AM3 + appears as one of the best alternatives on the market, because at 88 euros offers quality capacitors Dura Cap, SATA III 6 Gbps, and USB 3.0 ports, SLI and CrossFireX support, up to 32 GB of RAM and a multitude of functions that allow us to, for example, check the CPU frequency. This we must add that in the future we can mount a AMD FX chip without a problem. 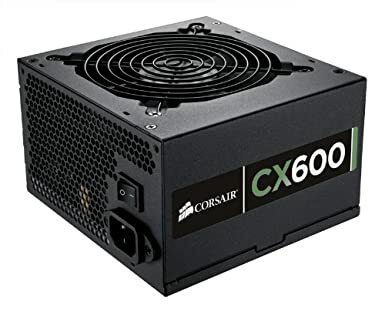 3, Power supply:Corsair Builder Series CX 600 80+ Bronze, price 57$ on Amazon. The power supply is another of the forgotten elements, despite its great importance. A generic and of poor quality source can have catastrophic consequences on the computer, and even “take down” with it other components, or being unable to evenly supply the power needed. In addition to this, obviously, limits the possibilities of expansion of the system. If for example we assemble a generic 400W source, it is possible to run what they have installed, but will not allow us to mount a second GTX 650 Ti Boost and possibly end up giving us more than one headache. With the Corsair Builder CX, we have everything needed for the computer we want to build, a source of decent supply, with enough power and real stability thanks to its 80 + Bronze certification, 57 dollars. This choice gives us peace of mind if we want to expand in the future. After the slight adjustment of prices that have experienced, the GTX 650 Ti Boost have become the best alternative in its category, surpassing even the Radeon HD 7850. This card mounts 768 shaders or processors flow, 192 bits bud and 1 GB of GDDR5, more than enough power to run any game on high or even maximum quality at 1080p resolutions. Yes, it is possible that some may ask why don’t I opt for 2 GB of GDDR5 version, the reason is simple. The extra memory increases slightly the price but does not make a difference when playing 1080p. If we pass this resolution and maintain the level of quality at high levels, the performance of the card is not enough and does not take advantage of the 2 GB of GDDR5, which reveals that is not, in short, a good choice. The fact of this specific choice of EVGA revolves around its overclock housing, a fact that allows to offer average performance in games in 1080p a 6% higher than the GTX 650 Ti Boost to their frequencies from factory. If we compare it with the 7850 HD 2 GB GDDR5 the difference is 10% under the same resolution. To finish an important note, thanks to the choice of motherboard and power supply, together with the excellent performance that the GTX 650 Ti Boost offers in multiGPU settings, have open doors to SLI, a really interesting expansion option to take into account. And now, the 2GB version is become cheap than before, if you have enough Budget, it also will be a good choice. With a higher budget I would have opted to fit 16 GB of DDR3, but given the limited budget of this guide I have preferred to opt for 8 GB so I wouldn’t have trimming other components. Today 4 GB DDR3 allows to play any game with guarantees, but facing the next games, they will be short, especially after the arrival of the next generation of consoles which, as we know, mount 8 GB of memory. With this said, it is more than clear that with a limited budget 8 GB is the more balanced option, but why have only one module and not two 4GB? The answer is simple, with a module we can expand easily in the future, while if we opted for two 4 GB modules we have to rid ourselves of them and spend money on two 8 GB modules rather that, ultimately, it will make us waste money. Given the difference of performance that offers dual-channel mode, it is not worthwhile the slightest. 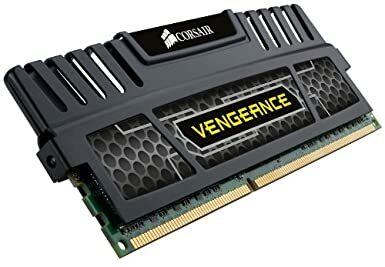 Regarding the chosen memory, this model of Corsair memory is really balanced and has a great price-frequency-latency ratio, which makes it the best choice for only 78$. 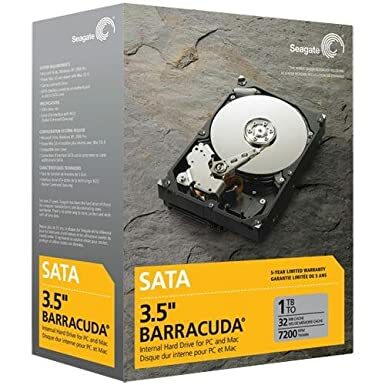 6, Hard Drive: Seagate Barracuda SATA 7200.14 III of 1 TB, price $70. Yes, I am aware that a SSD plays in a different League and certainly are far superior to conventional hard drives, but the budget does not allow for more. Trimming other aspects to opt for a single 120 GB SSD would be a bad decision, because with this space storage using the computer to play would be a real headache. What would we have? A PC with a lower GPU and space for “a couple of games”. Is worth the sacrifice to get a SSD? The answer is obvious. To this limitation have opted for Seagate Barracuda 7200.14, a model economic but acceptable, offering 70$ for 1 TB of storage, 64 MB cache and SATA 6 Gbps III connection. Of course it is not an SSD, but it offers a very good price-performance ratio. Of course always remains the possibility to expand in the future and installing a SSD with 1TB HDD. 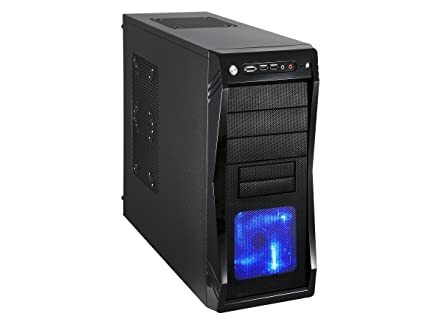 A big, pretty, well ventilated case that allows us the possibility to install up to 10 fans, for 47$ there is nothing better on the market. But, why it is important that the box is large and well ventilated? A large Tower on the inside assures us enough room for future extensions, remember that for example high-end graphics cards tend to be very long, but it also allows us to better distribute the wiring coming from the source to each component. With regard to ventilation, it is clear, a good flow of air helps maintain a good temperature inside of the box, something benefiting vital components like the CPU and GPU. Little to highlight in this section. A Blu-ray reader seems to me unnecessary and between different models of DVD drives that exist in the market, this Asus offers a quiet operation, a good finish and ultimately an adjusted value for money. No doubt a reliable and quality for 21 dollars model. We have finished, the final price of the set is 600 dollars. Yes, slightly in excess of 500 dollars, but the end result is worthwhile, since we have a system capable of running any present and future game in high quality or even ultra, according to the game in specifically, and smooth 1080p resolutions, with a great capacity for expansion and one useful working life more than considerable, thanks also to the quality of the chosen components.